"A combination of two popular horror games!" 5 Nights in Basics Education combines two of your favorite games, taking the style and interface from 5 Nights at Freddy's although with some adjustments and difference and combining it with the characters and school setting of Baldi's Basics in Education and Learning. This make for a very tense game with some familiar character's from Baldi's Basics such as Bully, Director and playtime popping up and scaring and if you are caught by one of these characters while on your duty of running security for the school it will be game over, however if you can survive a full five nights without being caught by one of the enemies then you will be free to return to your home. 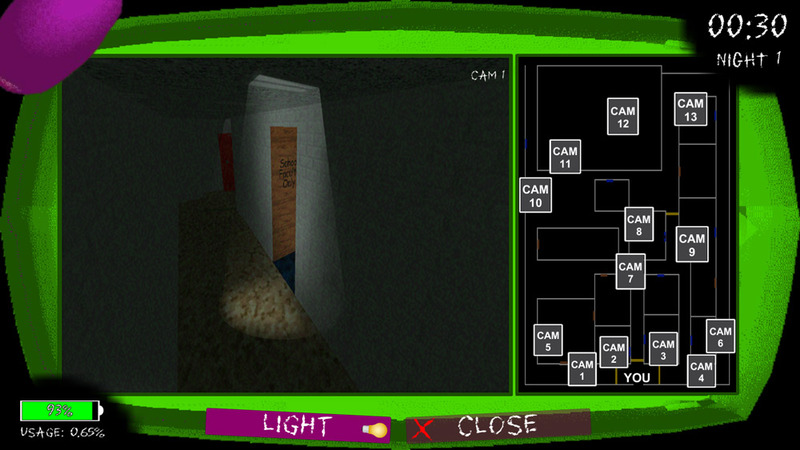 There is a network of cameras that you can use to look at and find where the enemies could be, you can also shut the three doors which surround your security office if you feel that an enemy is close you can do this but shutting the doors too often will cause your battery to die leaving you vulnerable to being caught by one of the Baldi's basics characters. 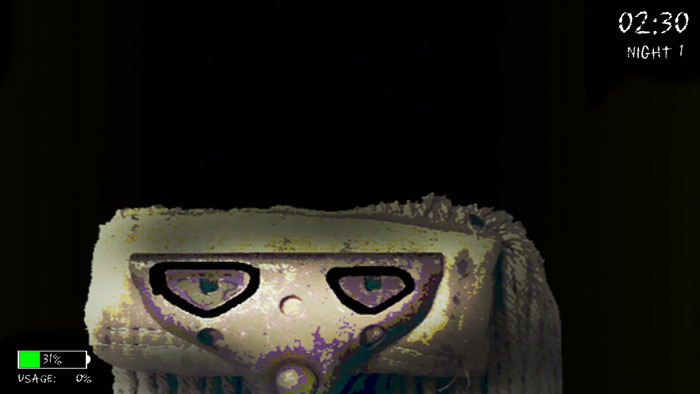 Although you will probably be familiar with both of the games that inspired 5 Nights in Basics Education it is always fun to play a game so full of jump scares and seeing characters from another great game. Worth checking out for fans of both or either of Baldi's Basics in Education and Learning and 5 Nights at Freddy's, you can download 5 Nights in Basics Education here for free.